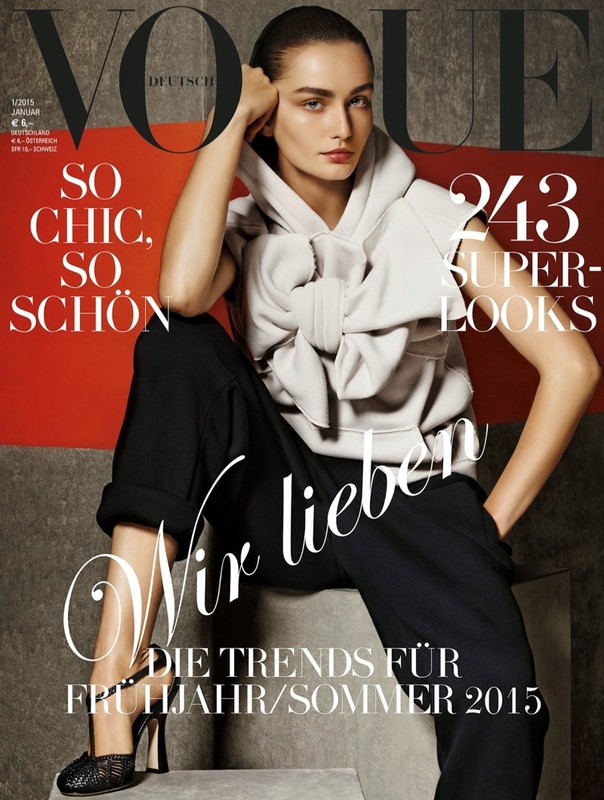 3 Times a Charm–The January 2015 issue of Vogue Germany follows in the lead of the Spanish edition with another set of three model covers. Karmen Pedaru, Andreea Diaconu and Hilary Rhoda pose for Giampaolo Sgura in the glossy images. Each of the girls wear a slicked back hairstyle for their respective covers, which one do you like best?